Light lovers rejoice! These ages-old above-the-door architectural elements are back in a big way. Few architectural structures and details survive centuries of passing trends and technological advances in the way that transom windows have. This style of window, which rests on the horizontal beam above a doorframe, first appeared in 14th Century Europe, when residents realized that an opening over an entry would be high enough to foil prying eyes while allowing a glimpse of sky and a bit of fresh air. The earliest incarnations were simply holes, sometimes covered with translucent animal skin or shutters that could be opened for ventilation. Style and functionality improved with the development of leaded glass, and then sheet glass, as well as hinges and iron bars to make operating the windows easier. Though transom windows fell out of fashion in the 1970s and 1980s, homeowners now are rediscovering how they can add a distinctive touch to a space—not to mention a little more natural light. For the most part, modern transom windows (also called transom lights) are decorative, meant to complement a home’s architectural style, but some still offer a ventilation option. They range in height from a few inches to a couple of feet, while width typically spans that of the door and any additional sidelights. 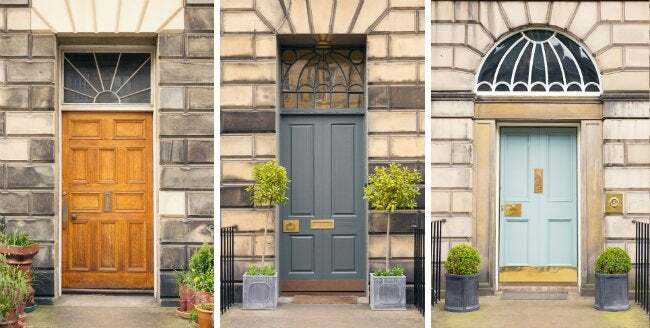 While many are rectangular in shape, arched transom windows, known as fanlights, are popular for exterior entryways and to dress up pass-through doorways in interior walls. 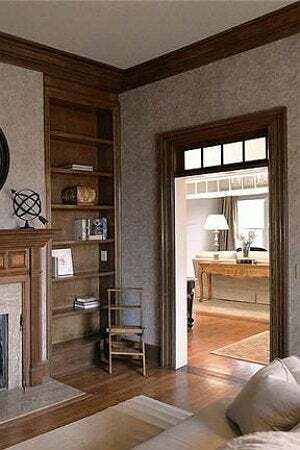 If you live in a newer home and are looking to add this charming architectural detail, you can purchase stock transom windows to fit standard door widths or special-order them to fit custom sizes. Exterior transom windows often sell as part of an entire door system, which makes them simpler to install, and, because they’re manufactured as a single sealed unit, they offer increased weather protection. Insect and weather concerns make operable exterior models less popular nowadays, but if you’re set on one, consider a motorized window you’ll open and close via a wall-mounted control panel. Some high-end units come with moisture sensors that automatically close the window if it begins to rain. Interior models recreate a nostalgic look while increasing the feeling of openness between rooms, an effect that makes a space seem larger. 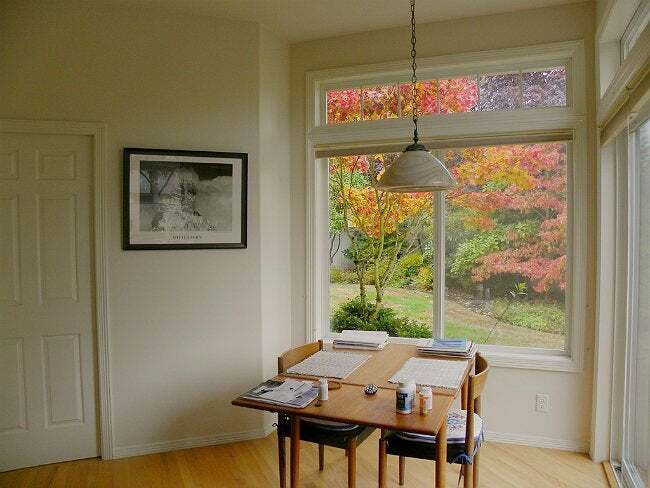 Interior transom windows come with both non-operable and operable options. Transom windows start at under $100 for non-operable vinyl, wood, or aluminum frames, and go up in price for operable or intricately designed models. Some manufacturers offer cladding over a wood frame, which increases the cost of exterior transom windows but adds vital weatherproofing; these are often higher quality and can run in the hundreds of dollars. For new home construction, it’s not uncommon to pay well in the thousands for a combo that includes a door, sidelights, and transom window all in a single sealed unit. While installation will vary—based on door and ceiling height, whether the wall is interior or exterior, and whether it bears weight—the standard process to add a transom window is to remove the drywall and/or exterior cladding above the door, and then remove a section of wall studs in order to reframe that section to accommodate the addition. Once the window is set, new drywall is installed on that section. If it’s an exterior wall, the exterior cladding will then be replaced. The final step is the installation of window trim. It’s crucial to ensure that a transom window will fit your home structurally. 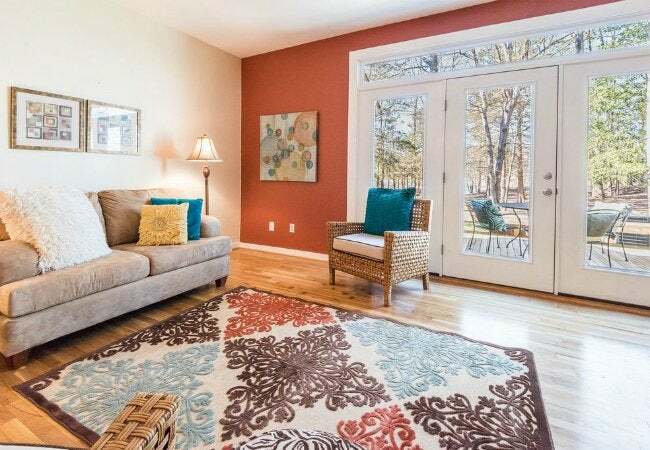 High ceilings are better suited to them than standard eight-foot ceilings, although some narrow window models may fit over doorways in standard interior partition (non-load bearing) walls. When shopping for a transom window, read the installation specs carefully to determine the rough-in framing space required for that specific model. If you’re unfamiliar with standard house-framing practices, ask a reputable builder, inspector, or engineer for help choosing a transom window for an existing wall. This is especially true for load-bearing walls, which may require opening up the entire wall section in order to change the framing and add additional structural support. Once you establish that a transom window will make sound structural sense, the fun lies in choosing your design. The transom window renaissance has led to a bevy of sophisticated leaded glass patterns and stained glass motifs. Muntins—straight or curved bars between adjacent panes of glass—offer additional appeal. Arts and Crafts-style transom windows feature diamond patterns, while Tudor style transoms offer a series of “X”s that create diamonds and triangles. Other traditional patterns can be as simple as a single glass pane or a row of squares, or as elaborate as Federal-style transom windows with sweeping curves and arches. If installing a transom window over an existing door, select a style that incorporates some of your door’s architectural design elements.